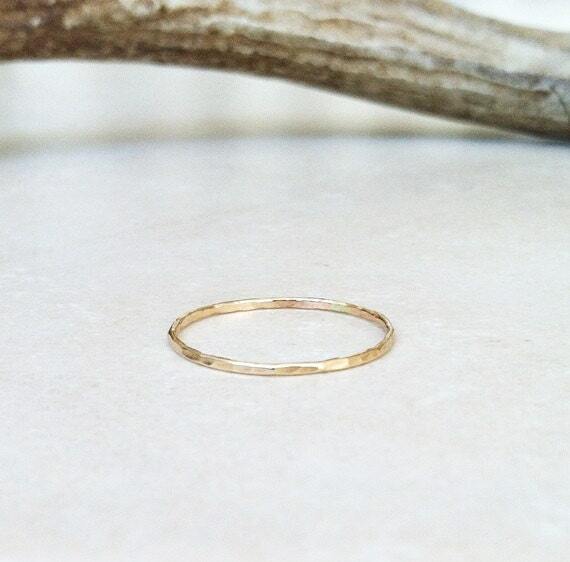 A beautiful, skinny hammered stack ring made of 14k solid yellow gold. Also available in solid rose and white gold. Please specify your metal preference and size using the drop box options to the right. 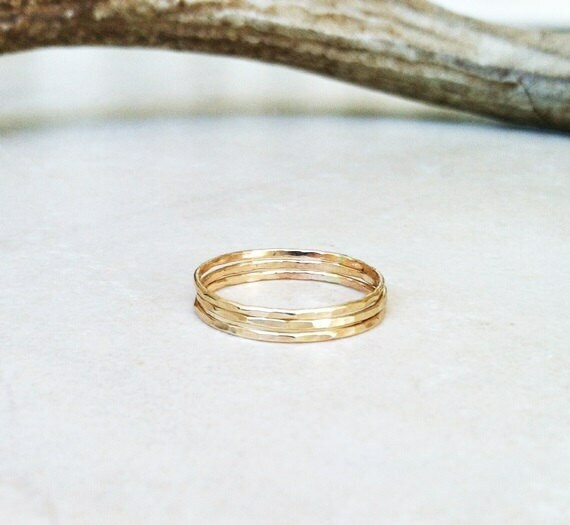 If you need a size larger than a US 10, please convo me so I can set up a listing to reflect the price of the larger ring.